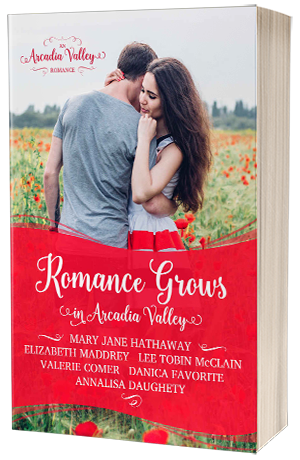 Join us in the fictional town of Arcadia Valley, Idaho, where a foodie culture and romance grow hand-in-hand. Six popular and bestselling authors of contemporary Christian romance have teamed up to create an entire world exploring food, friends, and family. This is not your usual collection of novellas! Each one is set in Arcadia Valley. Each kicks off a three-book series, intertwined with the works of the other authors. This permanent collection is only the beginning of your adventure with us. Life gets complicated for Charlotte MacGregor when a motherless child and a handsome widower encroach on her carefully laid plans. Will she keep her heart above the fray, or take a leap of faith? Inheriting her friend’s Bed and Breakfast in Idaho is a second chance to succeed, but falling for the farmer next door wasn’t in the plan. A curvy jilted bride gets stranded in a snowstorm with a handsome restaurant cook who’s not what he seems to be. A real estate consultant’s ideas for fulfilling a living trust are shot down by the elderly greenhouse owner’s grandson, but some of the arrows piercing her heart come directly from Cupid’s bow. A high-powered lawyer must convince a woman determined to protect her family’s legacy to sell the family farm to his father’s development company, but finds his heart leading him away from everything he’s spent his life trying to accomplish. When former engaged couple, Kate and Drew, find themselves thrown together after more than a decade apart, neither of them are thrilled about it. Can they let go of the past and consider a future together?